Short-term Missionary Needed – ASL instructor/tutor in Honduras! 1 – 2 year commitment in Honduras! Join a hearing missionary family as they begin their Spanish language learning in Siguatepeque, Honduras later this year. They have multiple biological and adopted children and one of them is deaf, so this little one and his hearing family need help learning ASL while on the mission field. Requirements: Two years teaching ASL and at least 5 years immersion in the ASL community. Please submit your detailed resume’ asap to becky@signsforhope.org for consideration. You will need to raise your own support. Please share this need with others! « Deaf Adoption for the Harrison Family – $750 SFH Matching Grant!! Why the use of ASL instructors from elsewhere to teach ASL in Honduras? Why not use their own sign language and develop training programmes to encourage local Honduras Deaf people to become teachers teaching their own language and culture? Additionally, there are many great Deaf people living in Honduras that can be a cultural and linguistic role models. Thank you for your question. 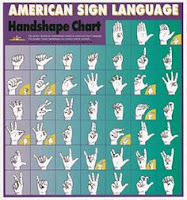 However you have misunderstood the purpose and need for this ASL instructor. The ASL instructor is for the American hearing missionary family who are still learning ASL to communicate with their adopted deaf son from China. This instruction will take place in their home. The purpose is so they can all communicate with each other via ASL. Their now American son, adopted from China with no language, will become fluent in ASL so when he is ready to attend school in America he will be ready to do so. I hope this helps to clarify the purpose and need for this ASL instructor. They will honor the Honduran Sign Language for Hondurans, but they want their adopted deaf son and their hearing family trained in ASL since they are Americans.